Zipcar’s first investor, Jean Hammond, is Boston’s indispensable angel. Her hands-on approach has been pivotal to the success of her startup and several others. She co-founded the leading accelerator for educational technology startups, LearnLaunch. The interview was great fun and hugely instructive to me. Don’t miss it! SAL DAHER: Welcome to Angel Invest Boston, conversations with Boston's most interesting angel investors and founders. I'm Sal Daher, and my goal for this podcast is to learn more about building successful new companies. The best way I can think of doing this is by talking to people who have done it. People such as repeat founder, super angel, Red Sox fan Jean Hammond. Jean, I'm so pleased that despite your time being in huge demand by founders and angels at Boston's bustling ed tech accelerator LearnLaunch, you've come to our studio for this interview. JEAN HAMMOND: Thanks for having me. I think it will be a lot of fun. SAL DAHER: This is a treat for me because it's been a long-held goal to have you on our podcast. It's hard to overstate the impact Jean Hammond has on Boston entrepreneurial ecosystem. Her energetic and focused efforts are succeeding in reshaping the business of educational technology, an area which used to scare off many investors. Honestly, it still scares off some but the conversation is shifting. This is due in large part to Jean's tireless work of making LearnLaunch an effective tool to help ed tech founders develop and market product more effectively. I really give you a lot of credit for that, Jean. Thank you. SAL DAHER: Jean Hammond was born in Los Alamos, New Mexico, spent her teen years in Oak Ridge, Tennessee. Between high school and college, she worked for her hometown paper, and then hitchhiked across Europe for five months. Thinking she wanted to be a doctor or a vet, she studied biology at Boston University. However, after graduating from college, she found herself running a food warehouse. We're going to get into that later. Looking for an academically rigorous MBA program, Jean Hammond attended MIT's Sloan School. After Sloan, her husband's career took Jean Hammond to Edinburgh where she joined a fast-growing startup making products for computer networks. This experience led eventually to her co-founding a startup that was a big success and had an exit to 3Com. SAL DAHER: Jean, I'm dying of curiosity. You studied biology at BU. How did you end up running a food warehouse in Boston? JEAN HAMMOND: Gee, I'm not sure. I definitely, by then, was buying my food for myself and my big student house that I lived in from a food co-op. The food co-ops were running a warehouse. I did do some actually biology research. I had about a year and a half of Alzheimer's research. That involved cutting up some mouse brains and doing some various types of reactions with them, but when I started writing some nutritional guides for the food co-op warehouse, the next thing I knew I was in the meetings helping set the policy, and before you know it, driving a truck around Boston picking up the cheese and loading up the co-ops with millions and millions of dollars of cheese. In those days, with wholesale cheese being in the $.20, $.30 range, when you say millions dollars, you're talking about a lot of heavy cheese. SAL DAHER: Yeah, that is a lot of cheese. I think this is really illustrative of Jean Hammond. She doesn't do anything halfway. If she gets her hands on something, she just goes hog wild and it's amazing. What did you learn from that job? JEAN HAMMOND: Well, I definitely learned the basics of accounting and the basics of business. Before you knew it, I was the president of the National Co-op Association and helped lobby out a bill in Congress, but I also was driving the truck on to the Boston meat market at 5:00 am three days a week. I had to figure out how to have something to talk to the people who worked on the market about, so every morning, I'd get up and read the newspaper and memorize the sports page so I had something to talk about when I arrived on the market. SAL DAHER: This is great. JEAN HAMMOND: That's how I became a Boston sports fan. Red Sox first, all the time, but I know enough about the other sports to talk about them, too. SAL DAHER: That is tremendous. Meeting the people you interact with where they are, and of course, this is a lady who always does her homework, so this is fantastic. What made you think you needed an MBA? You're just so on top of everything. JEAN HAMMOND: I had a pretty good science background, both high school and college, but I just felt that I needed more of the business framework to really feel like I could do all the things I wanted to do and understand all the different aspects of business. By then, I was pretty sure that business was where I belonged, that I just liked working in business. I liked the issues that were in business, how to think strategically about businesses, and just felt to me like I would benefit from a little bit of academic rigor and frameworks. SAL DAHER: The experience in the warehouse is where you found your love for business? JEAN HAMMOND: Yeah. It definitely made me feel like I was going to be in some type of business going forward. SAL DAHER: Wow, this is tremendous. Tell us about your time at Spyder System, and what did you get out of that? JEAN HAMMOND: Spyder was the little company that I started with when my husband's career took us to Edinburgh. When I got there, there were about 35 people. They were building products for this new technology called TCP/IP networks. I knew what they were. It was actually a pretty good technology for me. I could actually get into the actual details of the technology and I was a technical product manager. By the time I left, it was a very fast-growing company. The market was taking off like crazy. By the time I left about two and a half years later, the company was at 350 people. If you've ever been in a company that's grown at that rate, you understand some of the growing pains, and also I was the token US MBA on the team. Oh, we need a new distribution strategy for these countries in Europe. Okay, Jean will be on that group. How much money should we invest in each of our product lines and how will we assess whether or not we're making effective investment decisions. Oh, well she can be on that group, too. JEAN HAMMOND: Oh, who's going to take care of fixing this process? By the time I left there, I felt like I'd done all the different functions in a little startup and done it while growth was going on. It just felt like I had almost a magical playground. Also, there was just a little bit of cultural difference. I have to sit and think is this a business decision or a cultural decision? What's going on? It just made me be a little bit more accurate in what I was thinking about. SAL DAHER: This is tremendous. Looking from today's perspective and from the outside, it seems to be that you could not design a better training program than to have you first exposed to a very mundane commodity business, which it doesn't grow or it grows very slowly, but where the success of the business relies on very efficient operation. Then, for you to be exposed to a really dynamic business that's growing really fast and where you have to build things as you're doing them, you're building them, and so on. It's a totally, totally different world, and then you get exposed to all aspects of it. This is tremendous. Tell us about the founding of your first startup, AXON. SAL DAHER: Was that computer-aided design? JEAN HAMMOND: Yeah. That was Index Technologies, but then Index was having some changes going on, and Spyder was looking for a consultant to fill in a gap while they were selling off a line of business that then was based in the US. I said, well, I could do some consulting for a few months. A few months dragged on to maybe four, five, six months and during that time, the company was being exited, so I wasn't supposed to disappear in the middle of this exit. JEAN HAMMOND: I figured out what to do with some technology that was going to be left behind and wrote a business plan around it, showed it to folks and they were like whoa, we're trying to get out of businesses, not get into them. It was the business plan for AXON Networks, and AXON Networks does some of what I did at Spyder, which was I ran the protocol analyzer line at one point. AXON is RMON, remote monitoring of computer networks. It's sort of a distributed protocol analyzer. You needed good graphical user interfaces to help people understand the growing complexity of their networks. We not only sold direct, but we also sold those products, the AXON products OEM through many vendors. 3Com, IBM, Cisco, etc. reselling our product, and then some of the companies decided that they wanted to own that technology as part of their network management strategy, and 3Com was the one that ended up with AXON. SAL DAHER: Wow. This is a tremendous story. BU, biology, running a warehouse, go out and get an MBA. Then your husband's career takes you to Edinburgh, Spyder Systems, and then you work in software, and then Spyder needs help spinning off a group. That becomes your first startup and it's a huge success. JEAN HAMMOND: Yes. AXON was four years old when 3Com acquired it, and had grown quite rapidly to a pretty good business, and we got a pretty good price. SAL DAHER: Excellent. You had a successful exit to 3Com. Tell us about your second startup, Quarry, which was I understand early for its market. What are the lessons you can draw from that? JEAN HAMMOND: Okay. After spending some time in 3Com, I was looking around for the next thing to do, and a VC, a venture capitalist, asked me to take a look at some technology that was in BBN and analyze it for whether or not it should be spun out. SAL DAHER: BBN, just for those who may not know it, was a technology company originally Bolt, Beranek and Newman, and basically it built the infrastructure for the internet and a bunch of other things, so it's a technology powerhouse here in Boston. JEAN HAMMOND: I knew it very well. My husband had worked there for years, so I actually knew a lot about BBN, but I had never worked there. I was doing this analysis of whether or not this technology should be spun out. It was an advanced router. It had features in the router in terms of quality of service management and other security attributes that wouldn't show up in Cisco and Juniper's routers for another seven to eight years. We went and took a look at it. The way they built it was very expensive. We re-engineered it to less expensive. It still wasn't cheap enough, but we got it to pretty far along and during that time, I don't know, we hired about 150 engineers, and it was a very hot time for building routers around Boston. JEAN HAMMOND: There were a number of other companies doing similar things. We got to market, but then the internet bubble burst. The internet bubble was in essence the idea that we were going to all want to stream movies into our homes. Those were the kinds of features that we had in the Quarry product, but guess what? We didn't stream movies into our homes for another 12 years. SAL DAHER: That is amazing. How everybody thought it was going to happen right away, and then it took so long. I mean, that's the same thing with AI. People just think oh, self-driving cars are just five, seven to eight years away, and there's always some little unexpected factor that delays everything. JEAN HAMMOND: Yeah, well certainly just the capability of the infrastructure to deliver all the kinds of treatments that were needed to get that deep a bandwidth into that many locations didn't exist at that time. SAL DAHER: Despite the oversupply of fiber that was laid during that original internet boom. JEAN HAMMOND: Yeah, but there were a lot of last mile problems and other types of problems. SAL DAHER: Exactly. Bottlenecks of all kinds. JEAN HAMMOND: Of all kinds. Anyhow, I was the founding CEO. I brought out a team of about 12 engineers from BBN, and then as I said, hired significant additional team. As we got going, the company had a pretty hard time fundraising. I raised the first 30 million for the company, but then I think people were getting a bit nervous that there were too many router companies. This one didn't seem to have as deep of connections into the industry. The BBN crowd had a little less heritage in working with the industry than some of the employees of the other companies that had come from other product companies. JEAN HAMMOND: We just weren't the darling, and pretty soon the board got a bit nervous and decided they wanted to change the management. I stayed on a while in strategy, but after a while, just decided to leave. The company's technology has moved through a number of owners, but it was never a big success. It built some beautiful technology, had some very smart people. It was really a very interesting experience. SAL DAHER: People do not appreciate just how difficult it is to put out technology products in that there's so many promising technologies that just never quite make it. JEAN HAMMOND: We were doing four custom A6 in parallel at the same time as building a full-chassis product and a full management product, so it was a pretty complex set of things we were doing. As I said, nobody else had done some of the things we were doing. Millions of queues and ways to reconfigure them, millions of firewalls. It was pretty complex. SAL DAHER: Very complex, very advanced and yet, uneconomical. The investment that was put in, the investors there didn't do well. It brings to mind the first transatlantic cable, the difficulties of laying that cable and how the original investors just got completely soaked. It eventually worked, but there was so many difficulties. I think people running around with their iPhone and all these miracles of technology just don't understand how difficult and painful it is to get to. Each one of these little features on an iPhone was a huge technological problem at some point, and now it's a trivial thing. JEAN HAMMOND: We live in a magic world of technology today that just things you wouldn't have imagined could happen are happening every day. SAL DAHER: We owe a tremendous debt to all these people who tried and failed. I think that's underappreciated. You always hear the success stories and so forth, but the hundreds of failures that go with that handful of successes, I think, deserves appreciation. Coming up next, I will ask Boston's pivotal angel, Jean Hammond, about her highly consequential initial startup investment. SAL DAHER: First, I wish to thank listener Phillip L. 36 for this great review on iTunes. Phillip says, “Very informative. Firsthand accounts and advice from leading angels in the Boston startup scene. Whether you're an investor, entrepreneur, or an avid follower of startups, this podcast is value ad for all listeners.” Thanks, Phillip L. 36. You've done your bit to help this podcast get found by more people. 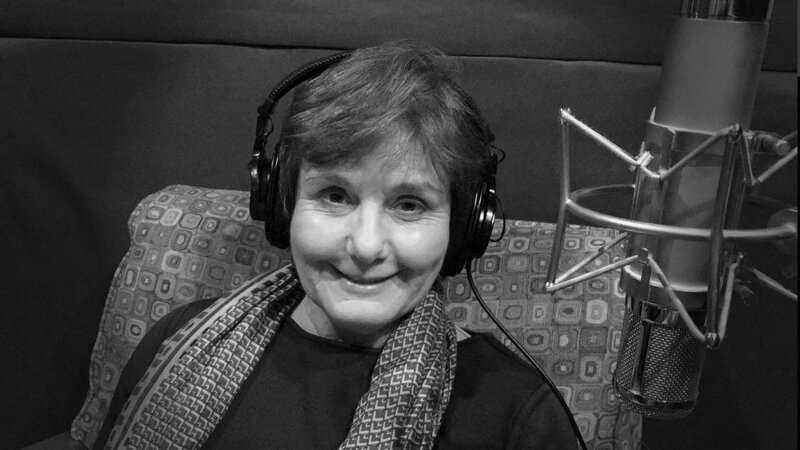 The Angel Invest Boston podcast features outstanding guests, such as the incomparable Jean Hammond. It's professional produced, has no commercials, comes to you free. The only thing we ask in return is that you help get the word out. Please tell an angel investor or founder about us. SAL DAHER: Take a minute to review our podcast on iTunes. I cannot emphasize that enough. Sign up at Angel Invest Boston to be notified of new episodes and upcoming in-person free events, including opportunities to participate in our startup syndicates. Jean and I were talking about this earlier. Jean, tell us the great story that I'm dying to hear of how you came to make your first angel investment. SAL DAHER: Quarry, your second startup? JEAN HAMMOND: The second startup. Getting it off the ground, trying to figure out all the processes of getting it done, and a business school friend called and said, “Hey, you've had a great exit in AXON. Aren't you supposed to invest in my idea for a startup?” I was thoughtful, agreed to go to dinner that night. Went to dinner, and by the next morning, I was the first investor in Zipcar. Robin Chase was a classmate at MIT Sloan. I just felt like yeah, I should say yes. I should say yes ... went back and forth a little bit over terms. There were a lot of things that she thought about the valuation and things that I thought that were quite different, having bootstrapped AXON, the first startup, most of the way through with just a tiny bit of capital from outside at the end. JEAN HAMMOND: She was busy running it, and then every so often, she'd call or show up and say, “Hey, Jean. So and so and so and so have invested, but I need a little more cash. Could you write another little check?” Pretty soon, I found that I had written two or three little checks and I was really busy. I was hiring people. I was driving something that was bigger than I'd ever driven before. It was an exciting time, and later when I got some free time, and stepped back at Quarry, I came into town, and by that time, the company was in a fairly complex setting. By coming back into town and talking to everybody, I found out that I was an angel investor. I didn't even know that all of that time. SAL DAHER: Isn't that amazing. SAL DAHER: It was just helping out a friend. JEAN HAMMOND: ... who'd written a check to get this company going. I knew there were a lot of other investors with me, but I hadn't thought about it as being called an angel. Then, I met most of the existing community. I met the folks that had started Hub Angels. I met some version of Launchpad and a few of the other folks around town. SAL DAHER: This is amazing. You know, to me, I was put on to Walnut by my brother-in-law, who had co-invested in Michael Mark and a couple of startups. When I went there, I went there are people who meet and do this all the time? This is what they do? I had no idea. I thought this was a weird thing that I did on the side because I invested in emerging markets. I'd put my children's tuition in Nigerian Promissory Notes. I was the only person who ever heard… kid's tuition… because I knew that market. That's what I did. I was accustomed to being odd and strange, and having made a few startup investments, I just thought I was a weirdo who did this. No, there's a whole bunch of weirdos like me. SAL DAHER: I was delighted to find them. This is a great discovery. Now, speaking of the angel circles, I've heard through angel circles that were it not for you, Zipcar would not have made it. Please tell us that story. JEAN HAMMOND: Well, the company was skiing a little bit over the tips of the skis. They had opened two more offices, and offices opening in new cities and zip codes were fundamentally unprofitable for the first year, even though the Boston branch was already profitable by then. They just had a lot of expenses. They were trying to manage everything. The investor community felt that the price wasn't right. They had a whole lot of convertible notes, almost two million dollars, and they were coming due. Some of the people with the largest convertible notes were the most upset. Unless the company raised matching dollars, almost two million dollars to match each of those dollars, they weren't going to auto convert and stay in the company. It was a pretty tough time. JEAN HAMMOND: The insiders kept trying to figure out how can insiders price a deal? It turns out it's hard. SAL DAHER: Yes, it is. JEAN HAMMOND: This was my first angel investment. It's hard now having done way more than 150 angel investments, but at that point, it was like whoa, I'm going to have to think about this. Eventually, we did figure out a way to figure it out. Once we got it locked in with quite a bit of commitment from the insiders, we were able to find a few people to fill it out, and a couple of people, including myself, and another investor stepped up in a fairly major way to put in enough to match out that extra money. Looking back 20/20 hindsight, I'm really glad I put that money to work there because it's been one of my best exits ever. Against my blended price for shares, my exit price is in the 16X range. SAL DAHER: Awesome, awesome. Give us a little bit of the story of how that exit went. Basically, the premise of Zipcar was a rental service that the cars were distributed all over the place and people returned them to convenient places, like in your parking lot near where you live, and so on. It was a little bit, would you say, crowdsourced car rental? SAL DAHER: That technology existed already when you invested? JEAN HAMMOND: Yeah, it was the first thing. SAL DAHER: The first thing that they had? JEAN HAMMOND: Yeah, the first thing they did was a card that you just walked up to the car and you unlocked it. SAL DAHER: Unlock it, right. JEAN HAMMOND: The car was tuned so if you didn't have a reservation, it wouldn't unlock. Basically, you had to make a reservation. You'd get to the car, you'd unlock it and then you had it until your reservation ended. You were supposed to bring it back usually to the same location. By then, the company had gotten pretty big and gone through quite a few rounds of funding by the time it came to exit, and it was an IPO. It was actually a pretty interesting story with lots of interesting attributes to it. It took a long time. I think from the beginning to the end was about 11 years. SAL DAHER: Yes, that is a long hold but if you're doing biotech investments, as I do, that's to be expected. That is really impressive. You had a brilliant exit with your first startup, and then you had a great exit with Zipcar, which went public, and then you took on an even bigger challenge. Tell us how LearnLaunch came about. JEAN HAMMOND: First, I'm going to go back and talk a little bit more about just my general purpose in angel investing. JEAN HAMMOND: Pretty much what I did after I invested in Zipcar was I just got involved in the angel community at large. I was doing some independent investing. I invested with all the angel groups all around town. SAL DAHER: You worked with all the different angel groups? JEAN HAMMOND: I was a member of Launchpad. Then, I became a member of Hub. For a little while, I went to all the Walnut group meetings. I invested with the New Hampshire Breakfast Club angels. You name it, I was around town doing deals, working with companies, putting lots of hands-on work, etc. SAL DAHER: Which were some of those companies if we would recognize them? SAL DAHER: Oh, okay. You were an early investor in Pixability? SAL DAHER: Did you expand a little in Golden Seeds? JEAN HAMMOND: I'm about to, yeah. Golden Seeds is an angel group that has an investment thesis that diverse teams make better decisions, and so they require that there's a senior leader in the management team who is a woman, a significant equity share and an ongoing role in the company for that person. At the time that this was happening, maybe up to 35 members in New York, so the idea was could we open a branch in Boston, too. We started doing that, so for two years, I was an angel group coordinator, too. JEAN HAMMOND: The thing I learned at Golden Seeds, which was the most important thing, was the value of some training. It turns out that some people come to angel investing, they've been serious investors ... Wall Street somewhere ... but even so, there's a lot of nuance, a lot of little details, a lot of specialized language and how to work with those entrepreneurs and how to work with the other angels. It's fairly complex. SAL DAHER: It really is an art. I should say a craft. It's a craft. JEAN HAMMOND: ... and the fact that you can learn from each other's methods, etc, and it's not impossible to learn. It just takes a little bit of time and attention. I just loved it. For about three years, I ran, as my spare time gig, all this angel group training all over New England for the different angel groups. SAL DAHER: This is amazing. Jean, this is an incredible number of activities you're involved with. No wonder it's so hard to schedule and get you in the studio because you're involved in so many things. Really, the pivotal angel. JEAN HAMMOND: Eventually, I decided that I was getting tired trying to learn every new technology. I use the example of where in this click stream is that particular piece of ad software going to cause an ad to get served, or whatever it is. I thought do I really care? At the same time, every time I brought in an ed tech company in and showed it to my peers, they'd go oh hard, scary, education, lose money, don't want to do that. I started having some of the ed tech companies meet together for lunch every month or so, and we would just learn from each other. Somebody said, “Oh, I want to learn about mommy bloggers.” Three people would go off and do a little project, come back and report. Everybody was just sharing. At the same time, there was another person in town who had been doing some ed tech meet ups. I sat down and thought about it, and actually a person I had met a year or so earlier came back from Chicago, where she had been part of the superintendent of school's office in Chicago after having been a technology entrepreneur. JEAN HAMMOND: It's not just an occasional exit to Pearson or Houghton Mifflin. There are other things going on here, so the mix of all those things meant that it was really time to start LearnLaunch. We have a non-profit that does our events and conference business, and also has some grants to work in the public schools. We have a coworking space where about 30 companies come into rent from us. It's a great place to meet the visiting dignitary from Germany or China or wherever they're coming in from that's interested in ed tech, and then we have the Accelerator. We've gone through the first fund of the Accelerator, 31 companies in that fund. We're still raising the second fund, but we've had the first 15 companies through the second Accelerator. We've put in some specialized supports, some programming. We have a lot of nuances in our program in terms of not only a first investment, but a follow on investment that's based on hitting milestones. We really focus in on personalized programs for each of the startups. SAL DAHER: Professionalizing a little bit the path for angel investing in this company and creating incentive structures for the founders to guide them because there's so many distractions. As a founder, it's blocking out distractions is a major thing. I really tremendously admire the work that you've done at LearnLaunch. I've been at LearnLaunch several times in different locations where it's had office spaces. Both times, I had the sense of just an incredible energy. It was like a hive of a lot of stuff going on, and people moving here and there, and all this stuff going on. I thought maybe there might be a 150 startups there. There was just so much activity. If an angel has not been to LearnLaunch, really it's worth scheduling a visit to a company that's there just to get the experience. It's an amazing place. What's the roadmap for LearnLaunch? Let's put it this way. What do you feel you've accomplished so far and what do you think you need to do that's really pressing? JEAN HAMMOND: Education is a really interesting industry. It's the last of the giant industries, well over five trillion globally, maybe six, to digitize. It's going through all of the things that happen when you go from printed textbooks to delivering all that content in digital ways. Distance learning, because it's online, just a whole number of different things that become available. Each of the sub-markets are pretty complex. They each have their own story. An example would be that K12, we would describe them as five years ago they were way at the beginning of crossing the chasm for there being markets for ed tech, and you were looking for that really innovative fourth grade teacher who would take on this unusual math product, but now we're seeing the districts demanding system level products. They're demanding interoperability. They're training their teachers and working with them to be able to use the products effectively, to use the data effectively. JEAN HAMMOND: Data driven schools. Who knew? That's a new one for many of us. Everybody's commenting on how all over the country, big changes. Also, bandwidth. Maybe when we starting LearnLaunch, maybe 25% of the school classrooms in the US had enough bandwidth to do digital learning. Now, probably 85% do. SAL DAHER: That changes it entirely. That is so promising. I'm an investor in at least a couple of startups that have been through LearnLaunch, and they've had the struggles but they seem to be swimming again. I'm particularly very excited with Testive, because I think that has potential for huge, huge impact even beyond the test prep space. SAL DAHER: The sales cycles are much shorter than trying to sell to school districts and so forth. JEAN HAMMOND: They're excited, and they're excited in the data. They're excited in the ability to then use that data with AI, and perhaps even new user interfaces. We see people starting to use virtual reality so you can actually train with your hands on the thing that you're actually training for. We're seeing that come in very quickly. SAL DAHER: To my mind, I think for example Qstream that's using technology to help sales forces retain what they've learned. What are some of the names that are in your universe? JEAN HAMMOND: Well, Qstream is exactly that. There's a third force I was going to talk about. AI, the new user interfaces including virtual reality and others, and then brain science. Qstream is based on technology that actually understands how memories are fixed. We now can look at the brain and actually understand were those neurons excited at the right time, and did the memory and the learning get fixed? That brain science is also coming in here. Sometimes it's addressing special needs students with some changes for dyslexia, autism, ADHD spectrums, and sometimes it's just understanding better how to use all of our learning products in a way that we actually know more about what we just did. SAL DAHER: Concretely in the case of Qstream, what I understand is that if there's a certain body of knowledge that people have to retain, they ask people questions over time just enough to salt their memory with these questions. People retain information six times longer than if they had just gone through the training program and nothing had happened afterwards. JEAN HAMMOND: Yeah. It's quite well known ... We know a lot of things now ... that one and a half hour lecture you went to? Uh huh. The byte size for learning, depending on what it is, is somewhere between seven minutes and 12 minutes. That's how long that you can learn. Then, how do you fix it? You get asked questions about it. Just like Q-Stream, they ask a lot of little questions and then they give you a deep understanding of why you did or didn't get it right. Then, a few days later, using the right analysis of all the things you have retained, they serve you up the questions in the right order, in the frequency, to make sure that they just get stuck. It doesn't take but minutes a day. It's amazing. There's just lots and lots of stories like that that are starting to pop up all over the education space. SAL DAHER: One of the reasons for the success of Testive with its population is precisely the optimal way they have of figuring out what questions to ask, and so that you have tests that are really small to figure out how much somebody knows instead of overwhelming them with the same problem over and over and over. SAL DAHER: That is a big task. JEAN HAMMOND: It's a hot time, and it's a big industry, and it's changing all over the world. In fact, some of our most excited investors in the LearnLaunch accelerator are coming in from India and China and Japan because they want to be a part of these changes. SAL DAHER: My wife's sister's husband is an emeritus professor now of education, and he's a specialist in educational design and instructional design, and there is an enormous demand for his presence in the far east. He's always being flown off to Korea or other places out there because of his specialization. Let's head out to some more general questions. Having sat on so many boards, Jean, and the list of boards that you've been on or are on is astonishing. Can you please give an explanation to founders who are reluctant to get a functioning board why it's important for them to have a board. JEAN HAMMOND: I think that the human capital that angels bring to the company, along with their financial capital, is the single most important thing that the angel community can give to the founders. The founders should be ecstatic about the idea that they can sit down and have the same two or three people come in and sit with them maybe every other month, or at least once a quarter, and really think for two hours straight as hard as they can about this company and nothing else. What are the factors that this company can do? What are the experiments that will make a difference? How can they really help push the company? Every so often, you can get a bad board member. SAL DAHER: Oh, no doubt. JEAN HAMMOND: The value of having that focused attention from people who know where you are, because one of the problems with the out there, meeting mentors meeting coaches world is you spend so much time telling the story and getting people into your space, and then they only have a minute or two for “Hey, from what I can see it seems like you should run west.” It's just not enough. SAL DAHER: Right. They don't have a critical mass of knowledge about your company. They don't have time series information about your company, which a board has. They've observed how you've been doing and so on. JEAN HAMMOND: Being a board member for a startup is actually quite a challenging job, and actually being an entrepreneur and managing your board at the rate of change that you're going to go through is also quite challenging. I sometimes say that there's three phases of a board. At the very beginning, the role of the board is to be in there with the team, looking at the data, trying to figure out do we know enough to do things. “Oh, wow. Look at that pattern. Maybe we should repeat that marketing experiment and put a little bit more money there and then try it again, and then try it again.” How can we really analyze it enough to really understand what's our best path to market? Or whatever the problem might be. A cheerleader supporter inside helper. JEAN HAMMOND: Then, a little later, I always call it the metronome phase. Basically, it's the phase where at the last meeting we said we were going to do A, B and C before the next meeting. Well, we get to the meeting and we've done about half of A. We haven't even started on B, and we can't remember what C was. It's a story about execution. Startups are all about execution. You spend all your time trying to get better and better at doing the things you need to do, helping the team get things done, adding the right person into the team so you can do more. That's all that's going on in a startup, so during that metronome phase, it helps the company and their ability to express to the outside world, maybe a next set of investors, what is their execution capabilities and what are their realistic milestones? That's a really important phase because it allows you to then access more capital, because until you can talk that way, a whole lot of people are going to stay away. JEAN HAMMOND: ... having a board member that's been through some of those phases and knows how to help you and the board reconfigure their behavior just makes it faster and easier. SAL DAHER: Well, this is beautifully said and I think very insightful. Is there some bit of advice that you find yourself giving to people all the time, that you wish you could put just a little blue card and you hand out to founders? SAL DAHER: No matter what it is, there's no third thing. JEAN HAMMOND: Really, helping to focus and focus on the right things. Helping people think about when and how to build the team, because teams are what it's all about. Probably those are the two that I end up saying the most. Sometimes, don't go for funding too early. Don't go for funding too early. SAL DAHER: Yes. I was saying that to somebody yesterday. Just take your time, build your business and then the funding will be so much easier. Jean Hammond, thanks for you generosity and making time to be on the Angel Invest Boston podcast. I hope our listeners have found this interview to be as rewarding as I have. JEAN HAMMOND: Thanks. I had a ton of fun. I love telling some of the stories, and love being an angel investor. I think I'm just so lucky to be around startups, innovative people that are making things happen, and helping with the angel community to be effective at supporting them and growing them. That's what it's all about. We need the innovation to grow the economy of the future. One more plug for education, of course. We need to have the right training to fit with the jobs of the future. Let's find some effective ways to be able to deliver that as well. SAL DAHER: Well, listeners, you've heard from Boston's pivotal angel. She is the center of so much that's going on in the ecosystem here in Boston, which is just incredibly exciting. I hope you've enjoyed this podcast. Please do review it on iTunes. Write to me at Sal@AngelInvestBoston.com with critiques or suggestions. You will find transcripts of the podcast at AngelInvestBoston.Com. Do sign up for future in-person events and the opportunity to participate in our syndicates, which means that you are able to invest alongside some of Boston's leading angels. This is Angel Invest Boston, conversations with Boston's most interesting angels and founders. I'm Sal Daher.